For any entrepreneur seeking early stage investment, one of the most important questions is: How do I attract investors’ first interest? How to convince angels of your idea, especially when they receive tons of Business Plans and Executive Summaries and hardly read the first paragraph? Use the right tools to display your strengths. 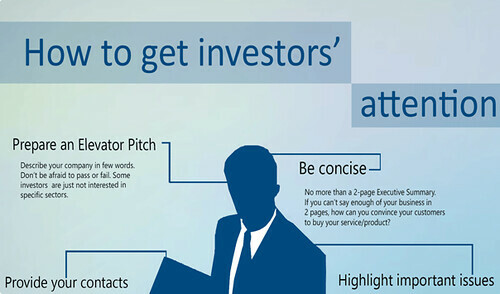 In this article, we will suggest some tips from investors that might be of use when executing your communication plan. Who, among the entrepreneurs reading this post, feels confident in explaining what an IPO is? Sure, you probably know the meaning: Initial Public Offering. You might know it is the process that brings companies to be traded in public stock exchanges. In a nutshell, via an IPO a company is granted access to the crowd of investors active in the market, thus allowing the company to issue shares and raise funds. If you are acquainted with equity crowdfunding, doesn’t this ring a bell? University of Twente starts Venture Lab Group on Symbid! Recently, VentureLab started the VentureLab Group at Symbid. Symbid is an online investment platform for private and corporate investors, to invest in early stage companies. Yesterday SEC Chariman Mary Jo White addressed the timeline for implementation of the remainder of mandates enclosed in the JOBS Act, including rules regarding non-accredited crowdfund investing.